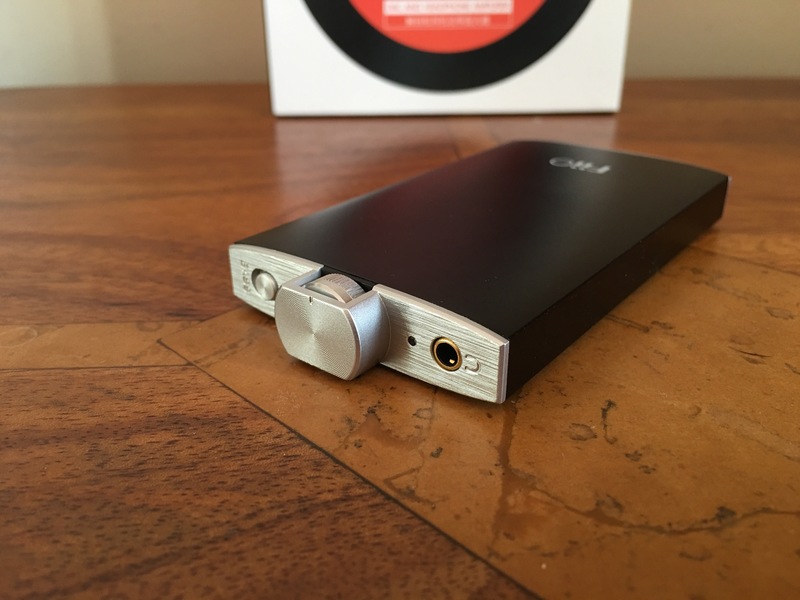 Welcome to my review of the Fiio Q1 Portable DAC and Headphone amplifier. The Fiio Q1 costs £59.99. And for £59.99 you get a beautifully constructed brushed aluminium AMP/DAC. Comparing this to the iBasso D-Zero MK2 that I reviewed recently, the fit and finish on the Q1 is streaks ahead. Inside the box you get a micro USB cable, a tiny right angle 3.5mm to 3.5mm cable, a silicone mat to stop the device scratching when stacked. The Q1 has a 1,400mAh battery that provides 15 hours of playback. The Q1 uses a Texas Instruments PCM5102 DAC chip and a Maxim MAX 97220 for amp section. This means 24/95k decoding is possible from most codecs delivering around 190mW load into 32ohms. OTG support as a DAC is not officially supported but does work using apps like Onkyo and USB Player Pro. Using the usb camera connection adapter from Apple, I was able to use the Q1 with my iPhone 6S Plus. Another benefit for me is that because it uses micro USB, I can use my special red coloured Lavri Lightning Camera Connection Cable (shown in photos under official Apple CCK). The sound produced by the Q1 is fairly neutral with some warmth. Treble is slightly bright but not too bright. The Q1 also has a bass boost button which is ideal for some bass lacking headphones. Even if your headphones have decent bass, sometimes the bass boost can provide a slightly lift that adds some drama to the music. Fiio recommend headphones up to 150 ohms. I would say that is fairly accurate but again if you use 100 ohm or lower headphones you will gain some more benefit from this little baby. Comparing the Q1 to the iBasso d-zero MK2 that I reviewed last week, the Q1 is better built and looks classier but when it comes to the music in my opinion the iBasso is another league. This becomes more apparent the longer you listen to the iBasso. However bear in mind the cost difference. The Fiio Q1 costs £59 and the iBasso D-zero MK2 is £99. Say again, just £60 for this little amp/dac from Fiio. 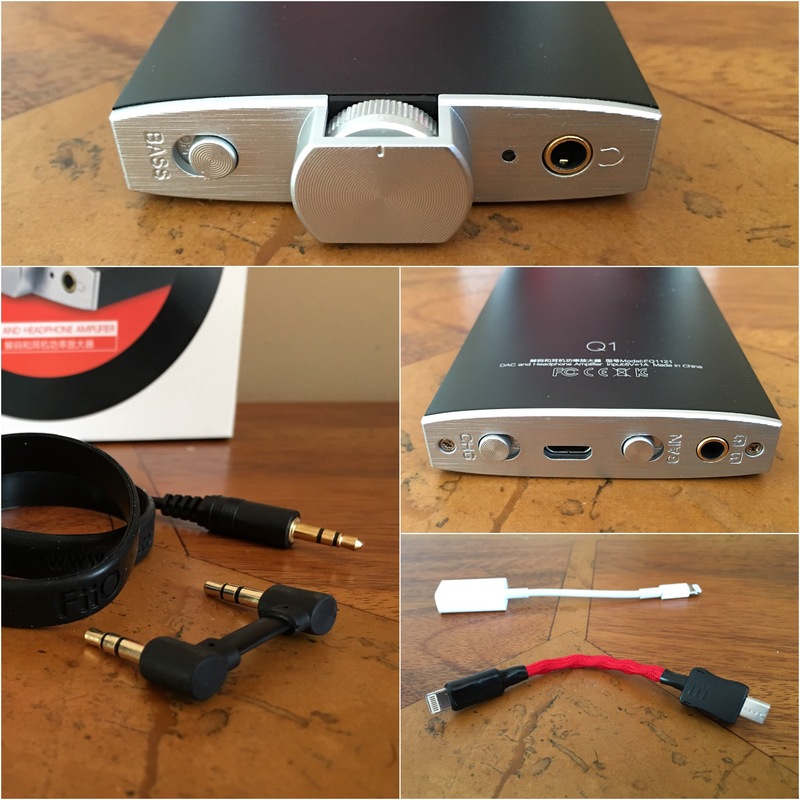 The Fiio Q1 pound for pound offers amazing value. Sure its not as refined as some £100-£500 devices but for most people this will be good enough to get them enjoying their music that little bit better than before.